Luca Grunwald (Freudenberg KTM WorldSSP Team) grabbed his maiden FIM Supersport 300 World Championship win in only his second race in the category, after a notoriously chaotic last lap left three riders of the front group on the floor, including poleman Mika Pérez (Kawasaki ParkinGO Team), MotorLand Aragon winner Koen Meuffels (KTM Fortron Junior Team) and 16-year-old Tom Edwards (Nutec – Benjan – Kawasaki). 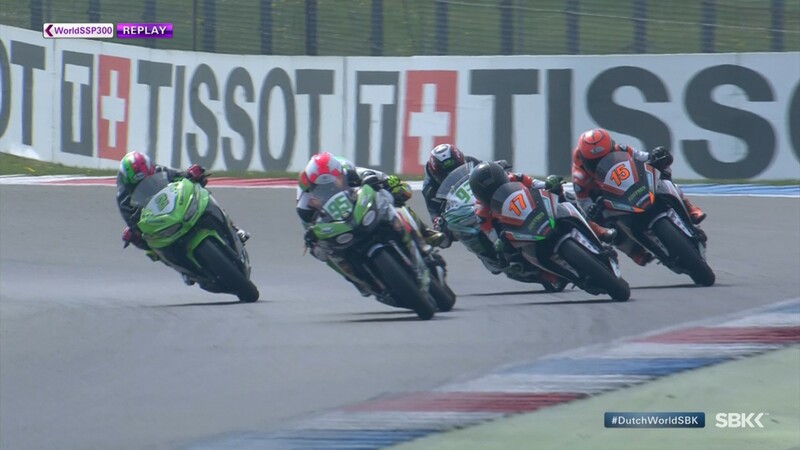 In trademark WorldSSP300 fashion, the top ten riders were barely separated by a second, with the overtaking maneuvers coming fast and furious. Most of the laps, however, were led by local rider Koen Meuffels, first leader of the championship and who had been at the top most of the weekend. 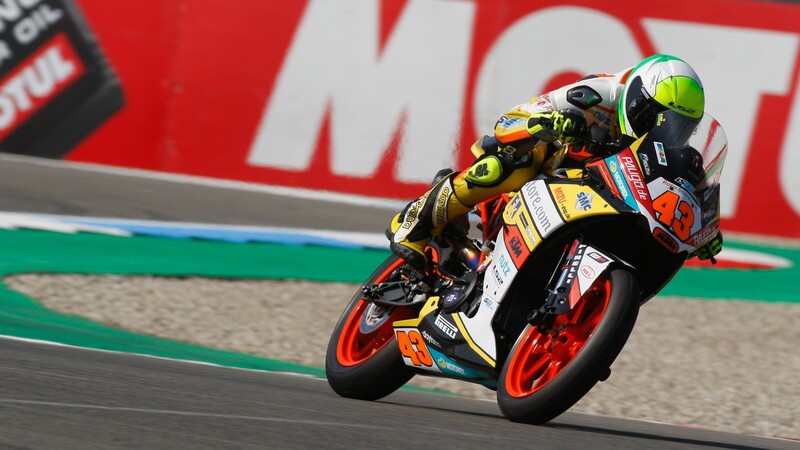 However, he slipped just reaching the last chicane, surrendering his championship lead to Scott Deroue (Motosport Kawasaki), who completed a second podium finish in third. Ahead of Deroue, Glenn van Straalen (KTM Fortron Racing Team) repeated his second-place finish from last year. Ana Carrasco (DS Junior Team), third on the grid, fought back from a poor start to finish the race in fourth, recording the race’s fastest lap in the process. 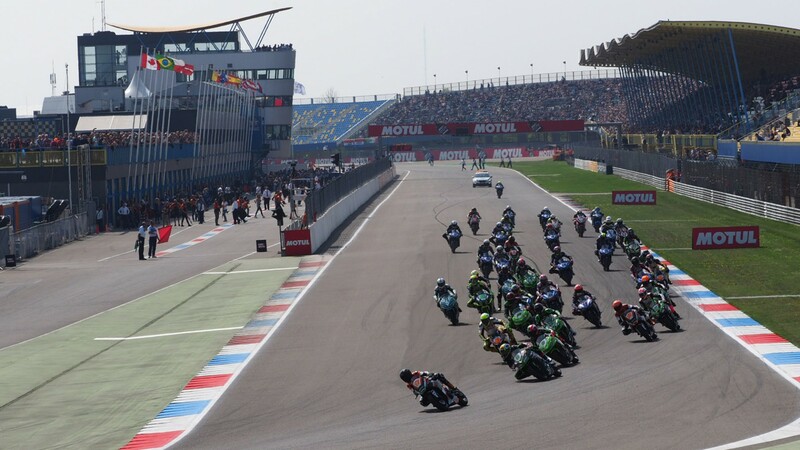 She was just ahead of Walid Khan (Nutec Benjan – Kawasaki), fifth and the third Dutch rider in the top 5. 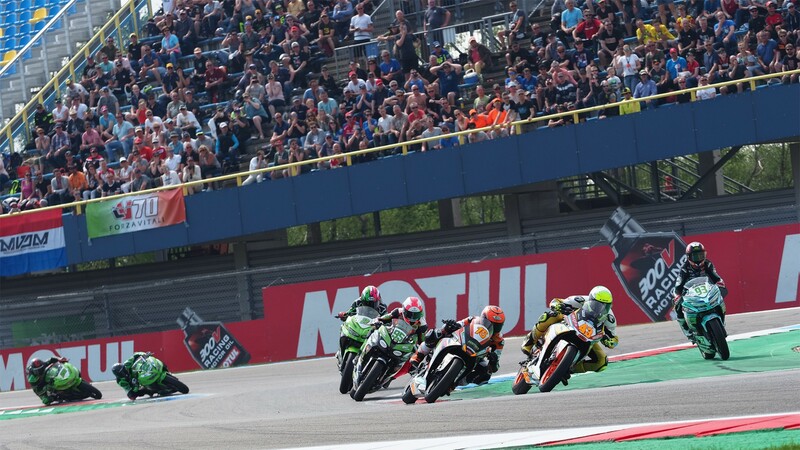 Behind them, and completing the top ten, were Mykyta Kalinin (GP Project Team), Dorren Loureiro (DS Junior Team), Jan Ole Jähnig (Freudenberg KTM Junior Team), Manuel Gonzalez (Pertamina Almeria BCD Junior Team by MS), and Maria Herrera (BCD Yamaha MS Racing), these last three with their first top-10 finishes in WorldSSP300. 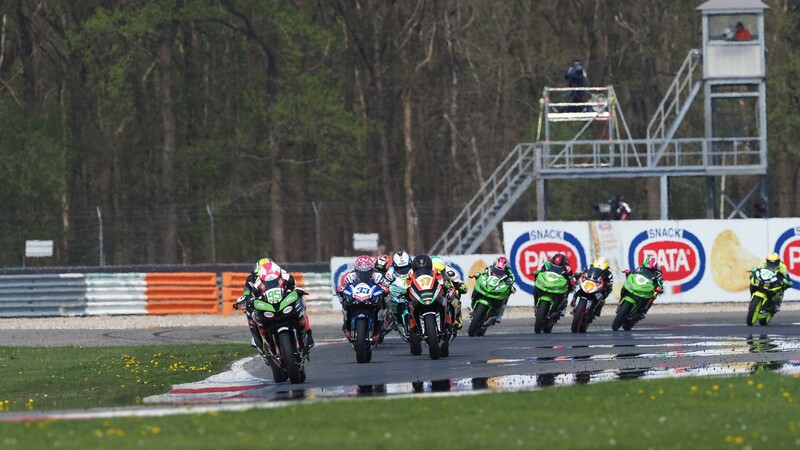 Watch as the WorldSSP300 championship rolls into Imola from May 11-13! 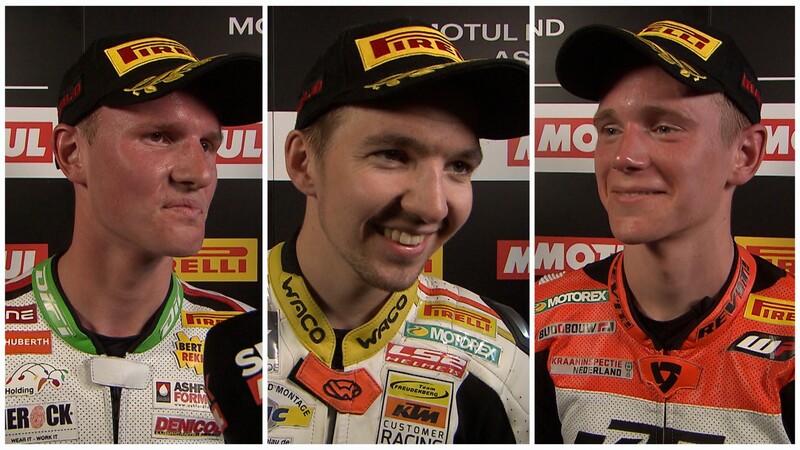 And catch the top riders react to today’s action, along with highlights and much more, thanks to the WorldSBK VideoPass.